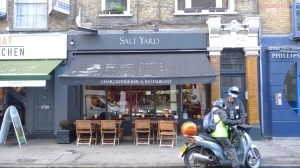 Salt Yard on Goodge Street is a great example of this kind of dining done well. Hailed by many as one of London’s best tapas joints, this little gem from the team behind Opera Tavern and Dehesa is nothing new to the London restaurant scene. But it is to me, so here are my thoughts for what they’re worth. Last weekend, my friend booked a table for ten at Salt Yard to celebrate her birthday. Having ogled the menu online before arriving, we’d chosen to freestyle it rather than opting for a set group menu (although with options at £30 and £35 – excluding wine – I do think they represent pretty good value for money). Instead, on the advice of our waitress, each person picked three favourite dishes to share amongst the table, alongside the standard order of bread, wine, olives … and croquetas. Ok, so we developed a slight obsession with the croquetas. Rich with creamy, melting manchego and tiny pieces of jamon all bound in a beautifully delicate batter, these beauties were so good they deserved their very own section of the order pad. Suffice to say we ordered lots. And the goodness didn’t stop there, with little plates of joy arriving at the table every few minutes (they stagger your order out of the kitchen so that each dish arrives hot and fresh in its own time). Sadly I didn’t manage to take many pictures – you try pulling plates of food away from ten hungry girls in order to line up the perfect photo – so I’ll just describe a few of the highlights below. As the littleloaf I’m duty bound to review the bread and am pleased to confirm that Salt Yard’s came up trumps. Thick, doughy country-style bread, charred on the grill and served with fruity olive oil was the perfect vehicle to mop up the various delicious sauces that appeared as we ate. Nocelleria olives were beautifully refreshing – fat, green, rich flavours allowed to shine through as they hadn’t been preserved in salty brine. And, unsurprisingly for a restaurant known for its meticulously sourced ingredients, our selection of chorizo and jamon was by turn salty, sweet and strong. Crispy hake with piquillo pepper alioli was a superior take on chip shop fish; tiny nuggets of fish in a whisper of flakey, oily batter. Char-grilled cuttlefish with pea puree continued the fish and chip theme (think posh mushy peas…), although a scattering of pomegranate seeds, while pretty, tipped a dish already sweet from the peas slightly over the edge. Tuna with beetroot, tarragon and a crispy quail’s egg was fantastic quality and beautifully rare in the middle, the egg another example of Ben Tish’s elegant touch with the deep-fat fryer, although the quantity of beetroot remaining when the waiter came to clear our plates suggests it wasn’t the best match. Carpaccio of sea bream came with beautifully sharp slices of blood orange and a crunch of walnut, and one of my favourite combos – scallops with crispy serrano ham – was clean and well executed on a bed of chickpea puree. 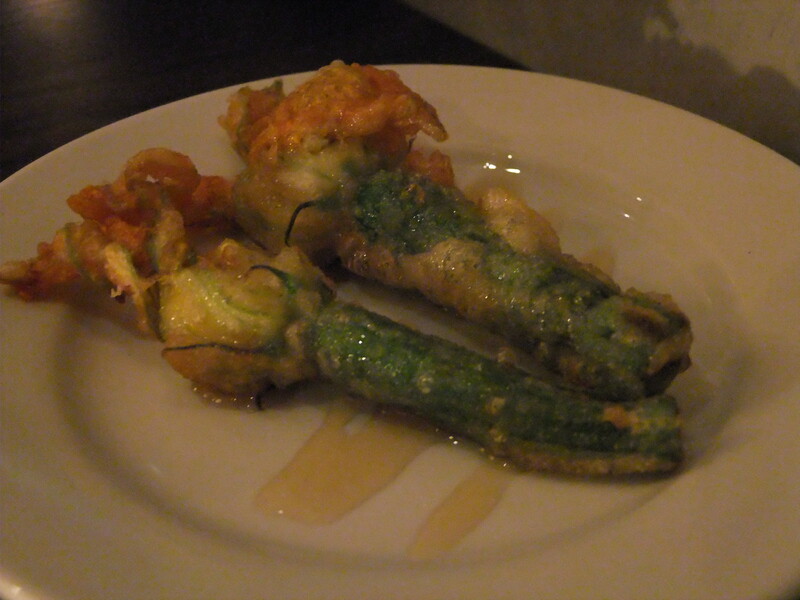 I’d read a lot about Salt Yard’s signature deep-fried courgette flowers and they didn’t disappoint. Another tenderly battered menu item, the crispy flowers held a strong, gooey goat’s cheese, while the baby courgette itself was nicely al dente and drizzled with honey. I’m not sure it beats the salt cod stuffed courgette flowers I’ve had a l’Anima but certainly gives them a run for their money. A salad of new season’s asparagus, broad beans, peas and mushroom was a beautifully fresh companion to so many other rich dishes and a salad of purple sprouting broccoli and black grapes was good, if not hugely memorable. When presented with a choice of meat and fish, I tend to opt for the latter, and all three of my tapas choices were fish or vegetables. A couple of the main dishes therefore passed me by, although a number of people did comment that the veal polpette with lemon and baby artichoke were slightly disappointing and dry. Confit of Gloucester Old Spot pork belly with rosemary scented cannellini fared better – rustic Spanish cooking at it’s best – but with so many other light, fresh flavours on the table, it didn’t quite get polished off. Salt Yard has a succinct and successful wine menu, with plenty of inexpensive options from both Spain and Italy. For pudding we shared (yes, I know what I said about sharing dessert but we had eaten a LOT…) churros con chocolate – plates piled high with fat, crispy, cinnamon-coated dougnuts and pots of velvety chocolate sauce. Another success story from the deep fat fryer and all the better because of it. The final bill came to just under £40 each including wine, service and dessert which I think represents great value for money. A couple of dishes were less memorable than others but overall the standard of food at Salt Yard is extremely high. It’s the perfect place to eat with friends, drink wine and discover new flavours. I’ll definitely be going again. Very very very shamefully, I live literally around the corner from Salt Yard and still have not been! 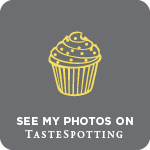 I hear wonderful things about them and have tried the stuffed courgettes at Taste of London and… I just need to go! Lucky you living round the corner! Definitely worth going – I’d like to try Opera Tavern and Dehesa now too. 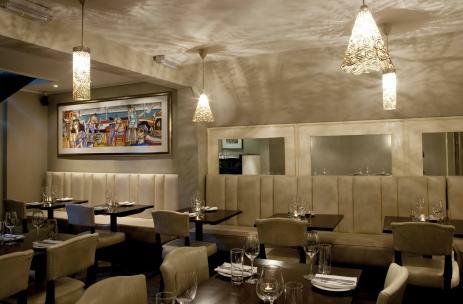 And if you’re out for the evening there’s a great place for drinks just opposite – The London Cocktail Club.